Such was the ferocious nature of Mad Max: Fury Road that it’s small wonder why George Miller wanted to step away from The Wasteland after 2015 – and that’s before you even factor in the film’s tortured production. It was a long, meandering saga of alleged budget cuts, creative setbacks and relentless, unforgiving weather, but all involved persevered, and thank heavens they did. Though it may err on the side of hyperbole, Fury Road is arguably one of the most accomplished, expertly crafted action movies of the past ten years, and though it didn’t exactly light up the box office in the way Warner Bros. would have hoped – the final total clocked in at $380 million – over the past two years there have been countless rumblings of a sequel. 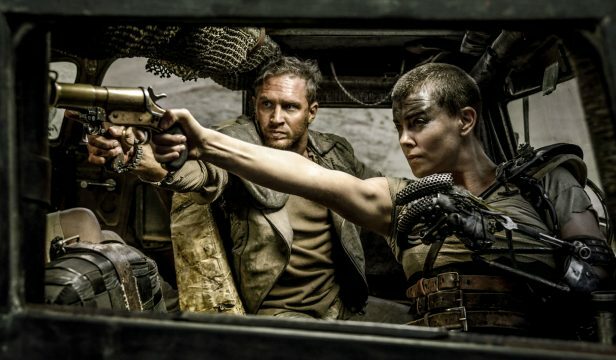 Lead star Tom Hardy confirmed as much late last year, noting that there are currently two Mad Max movies floating at WB, one of which may turn out to be a prequel involving Charlize Theron’s Imperator Furiosa. And while he didn’t divulge the specifics of those plans, director George Miller confirmed to The Independent that both he and the creative team have drawn up the necessary backstory and subtext for another two movies in the Mad Max universe. All that’s missing now is the green light from Warner. We dug down deep into the subtext, the backstory of all the characters, and indeed the world…and without really thinking about it, we wrote two other screenplays just as part of the bible of the stories. Somewhere, if the planets align, there will be two other films. As things stand, Miller’s potential Mad Max sequels will have to scrap for their place on the Warner Bros. slate, given the studio is also fostering a full-blown Fantastic Beasts franchise and that small indie project known as the DC Extended Universe. It’ll expand into The Great War in two months’ time thanks to the release of Wonder Woman, before Justice League swoops into theaters on November 17th. In terms of Mad Max, though, what are your hopes for the future of The Wasteland? Do let us know below.